People have been playing poker for many years and each country has its champions. Canada is no exception, providing the world with some of the best gamblers in the world, either if we talk about the offline or the online casinos. Check the list below to find facts about some of the best rated Canadian poker players, including their poker incomes, interesting things and their background. 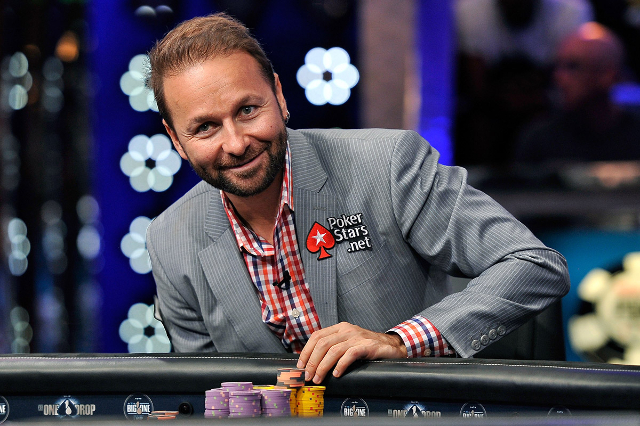 A poker millionaire with a bank account consisting of more than 40 million dollars, Negreanu is considered the player of the decade. Six World Series of Poker bracelets and two World Poker Tour titles are crowning his successes. He didn’t always want to become a poker player. He started dreaming of a snooker career but learnt playing poker and dropped high-school to pursue his dreams. Daniel is a Canadian citizen with Romanian roots who is a Toronto Maple Leafs eager fan. The owner of Cirque du Soleil is not only a business man, but also a skilled poker player and a well-known philanthropist. Besides these activities, he also enjoys playing music. He started winning through the card game in 2007 in Las Vegas. Forbes ranked Lailberté the 11th wealthiest Canadian, with 1.37 billion USD earnings, most of them coming from other activities than poker. 2010 and 2011 were two amazing years for this Canadian poker player, who had his name in every top, including the WSOP ones. Moreover, Buchanan’s cash outs made him an important player in the online world, on PokerStars. Most of his cash-outs come from WSOP tournaments in the United States, only four coming from events held in France. A hobby can easily turn into a job if you practice enough. This was McDonald’s case. He started playing poker while in high school, when he didn’t even have the legal age for gambling, and by the age of 18, he had already won tournaments. The second title he got was in 2008 at the EPT German Open in Dortmund, Germany, with a cash-out of over 1 million dollars. With over 7 million dollars won from online and offline poker tournaments, Watson is one of Canada’s professional players. He is the winner of the World Poker Tour Bellagio Cup, having a bracelet from 2008. An inherited passion led this player to the magnificent amount of over 6 million dollars won from poker. He started playing card games from a young age with his father. Smith has an expertise in Texas Hold’em. He declared that he had friends from whom he learnt some poker tips and tricks. “Imper1um” or “Zangezan24” are the online nicknames of this Canadian professional poker player, who won over 12 million dollars from gambling both at online and offline tables. Besides his big bank account, he is known for titles like “The Bluff Player of the Year”. He enjoys gambling in online and live tournaments, being a professional in this branch. 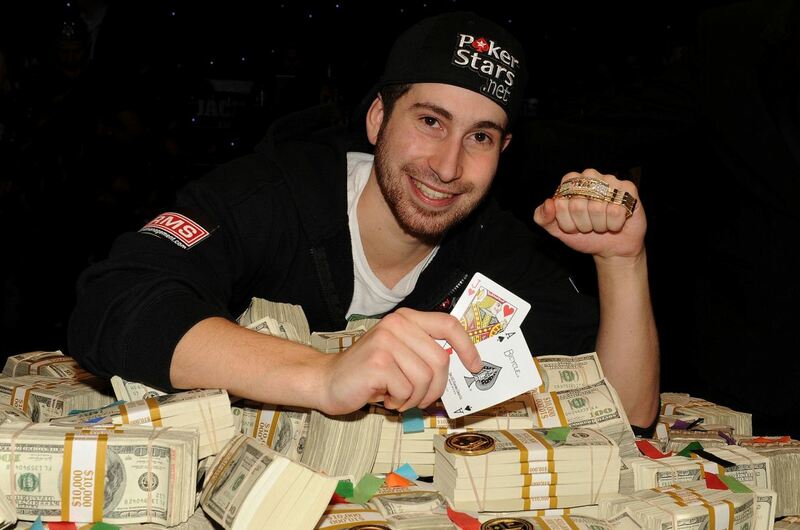 In 2010, at 23, Duhamel became the first Canadian player to win a World Series of Poker title. With a prize of 9 million dollars, his bankroll went up since that, reaching the astonishing amount of 13 million USD. Besides being a good poker player, he also cares about the others, having donated 100 000 USD to a charity. As hard to believe as it seems, some people give up everything they have to follow their dreams and passions. Isabelle Mercier was a lawyer with undergraduate studies at the University of Montreal and a Master’s Degree in Paris. Starting from the bottom, she was forced to work to pay the fees for her studies. And what better place to work if not in a Casino, as a poker room manager? Then, she started playing the card game and is currently a big name on this list with earnings of over 1 million dollars. Known for his screen name, “Apathy”, Jetten is one of the best Canadian online poker players. He has a bankroll of over 4 million dollars, most of his earnings coming from online tournaments. Jetten started playing poker while he was studying at the University of Western Ontario. He decided to drop his studies after two years and he continued pursuing his dreams of becoming a professional poker player.